Dr. Israel Beinglass has over 25 years of diversified experience in the semiconductor and semiconductor equipment industries. From 1989 through 2006 he was a senior technologist and business executive at Applied Materials (NASDAQ:AMAT), the global leader in semiconductor equipment, where he served in a variety of executive roles. He was General Manager of the High Temperature Films Group, Managing Director and Chief Technology Officer (CTO) for the Front End Equipment Group, and later CTO of Applied Global Services Group. He also served as the Chief Marketing Officer (CMO) of the CMP division and CTO for the Thin Films Group (TFG). Dr. Beinglass was involved in numerous successful acquisitions and was a member of Applied Materials Strategy and Marketing councils. Dr. Beinglass is the industry pioneer of selective deposition; he is the co-inventor of the selective tungsten deposition process and an earlier developer of selective Epi deposition. He also was instrumental in developing the industry’s first single-chamber polysilicon deposition system and an integrated, multi-chamber Policide system. Before joining Applied Materials, Dr. Beinglass worked at Intel Corporation (NASDAQ:INTC) and IMP (NASDAQ:IMPX) in various positions, including process development manager and engineering manager of fab operations. While working at Intel he was the inventor of the selective tungsten deposition process. He was a co-recipient of the Beatrice Winner Award for Editorial Excellence at the Intl. Solid State Circuits Conference in 1982. He serves as a board member at Noise Free Wireless and Spectros and used to serve as a board member at Silicon Genesis between 1998 and 2001. 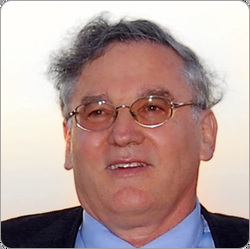 Dr. Beinglass holds a Ph.D. in Materials Science from the Hebrew University of Jerusalem; he completed post-doctoral research at UCSF and is the holder of 30 US patents (288 citations) as well as several pending patents.